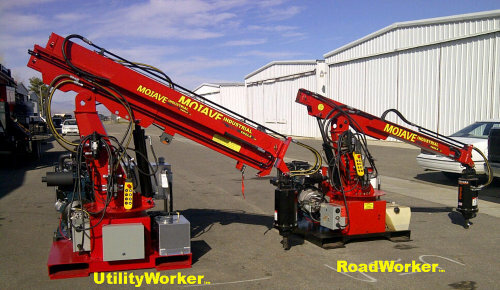 The UtilityWorker can drill in extreme difficult soils, including solid rock tooling. 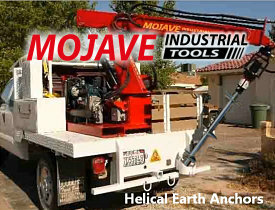 It reaches to 18’ from the center of the truck. 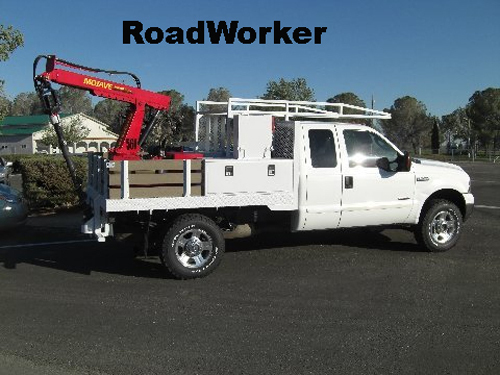 Used by Highway Contractors for signage & guard rails, and the Solar Industry for Post Refusal problems. Fits on the back of a 1+ Ton truck, provides a small footprint on the road, no trailer needed, save time in and out on job, one to two persons can do the job, no special skills needed. 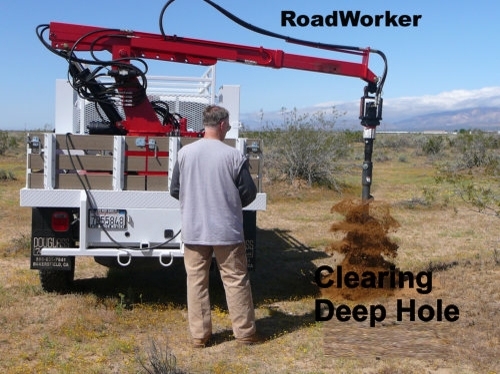 Auger various sizes of holes; the UtilityWorker has proved itself in extreme rocky soils, industrial strength to tackle the bigger jobs. 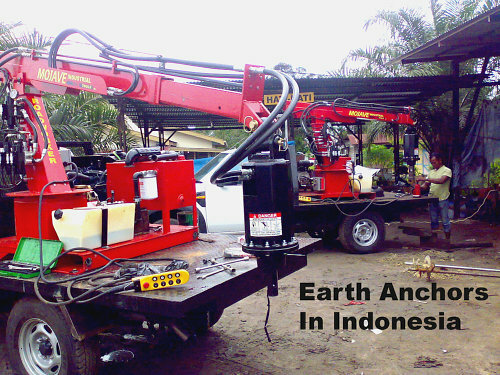 The RoadWorker Earth Anchor Auger has taken us International! 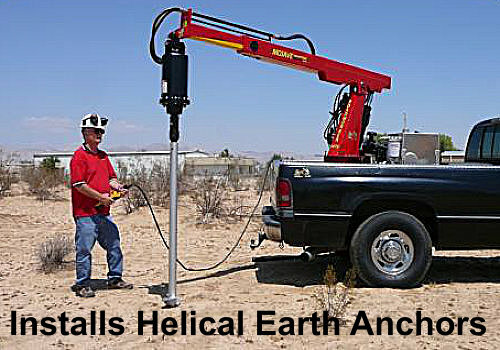 It installs Earth Anchors of all kinds. 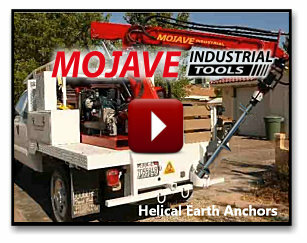 With all the amenities of a RoadWorker, but with the power needed to install the Anchor with minimal soil disturbance. 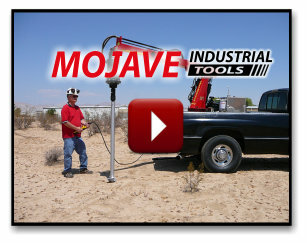 Need FM 2.4 GHZ 100 mw Pendent controlled equipment? 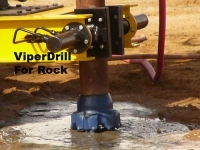 Click here to see how Chevron and BP are using them in Malaysia & Indonesia.